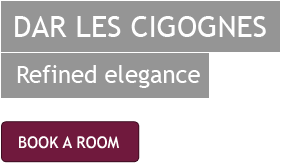 From cuisine that is made with passion and consumed with pleasure, to a spa that envelops you in a cocoon of tranquility, Dar Les Cigognes is a delicious blend of modern sensibility and traditional design. Dining at Dar Les Cigognes offers a daily changing selection of the best of traditional Moroccan cuisine with a Mediterranean inspiration, cooked fresh, using the freshest seasonal ingredients. We offer a range of dishes that you are unlikely to ever find in other restaurants. Daily cookery classes are an excellent way to bring the memories home. 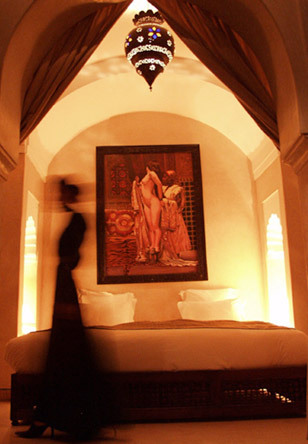 The spa offers a full range of massage and beauty treatments as well as a traditional Moroccan steam room, or hammam. With a boutique of artfully collected objets and crafts, there is something for every taste and budget. There are a great number of outdoor day pools for use in and around Marrakech, and our concierge can help you make your choice. 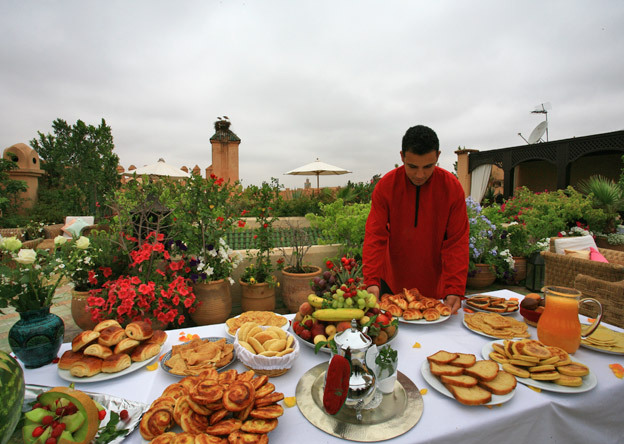 Shopping tours and sightseeing can be arranged on a fully bespoke basis as well as all manner of excursions in and around Marrakech, from heli-skiing to balloon rides at dawn, to a visit to the spice souks, our concierge team will be happy to help you with whatever you wish to do whilst here. We operate a 24 hour reception.